1. What are the objectives of Self-Help Groups ? They are very poor women who do not have access to formal financial institutions. It also enables the members to learn to cooperate and work in a group environment, and help each other. This group provide savings mechanism, which suits the needs of the members. It also provides a cost effective delivery mechanism for small credit to its members. The group significantly contribute to the empowerment of poor women. 2. Should SHG members comprise only poor people? The SHG-bank linkage programme is targeted to reach the poorest sections, which are bypassed by the formal banking system. Therefore, it is essential that only the very poor be considered as the target group for the SHG -bank linkage programme. 3. Should the SHG comprise only women members? This group can be all-women group, all-men group, or even a mixed Group. However, it has been my experience that women's groups perform better. Mixed group is not preferred in many of the places, due to the presence of conflicting interests. 4. What is the importance of training in the success of SHG strategy? Training can contribute significantly to the success of the SHG bank linkage programme. Appropriate training (formal or informal) at each stage of SHGs' growth is one of the essential inputs required. 5. What are the types of training programmes that would be necessary in promoting SHGs? Training is essential for all partner agencies who participate in the SHG bank linking programme. The details regarding the different types of training needs, organisational facilities, modules,etc are presented in Section 4 - Capacity Building of Partner Institutions in microFinance. 6. What could be considered as indicators of a good SHG? As far as possible, the membership of an SHG may comprise people from comparable socio-economic background. Though difficult to define in clear terms, a major indicator of homogeneity in membership is absence of conflicting interests among members. There should not be any discrimination among members based on caste, religion or political affiliations. 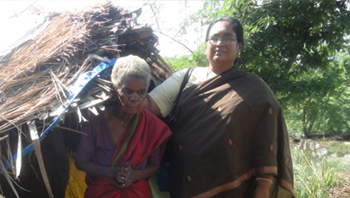 Ideally, the group size may be between 15 and 20, so that the members are participative in all activities of the SHG. In a smaller group, members get opportunity to speak openly and freely. However, the membership may not be too small that its financial transactions turn out to be insignificant. . It is important that all financial and non-financial transactions are transparent in an SHG. This promotes trust, mutual faith and confidence among its members. Maintenance of books of accounts as also other records like the minutes book, attendance register, etc., are important. The SHG may discuss and finalise a set of byelaws, indicating rules and regulations for the SHG's functioning and also roles and responsibilities of members. It is better to have a written set of byelaws. The Self Help Promoting Institution (SHPI) and bank may guide the SHGs in this. The habit of thrift (small savings) is fundamental which helps in building up a strong common fund. Once this has accumulated a sizeable amount in the form of savings say for a period of about 3-6 months, the members may be allowed to avail loans against their savings for emergent consumption and supplementary income generating credit needs. 7. How is a bank account opened by an SHG? As soon as the SHG is formed and a couple of group meetings are held, an SHG can open a Savings Bank account with the nearest Commercial or Regional Rural Bank or a Cooperative Bank. This is essential to keep the thrift and other monies of the SHG safely and also to improve the transparency levels of SHG's transactions. Opening of SB account, in fact, is the beginning of relationship between the bank and the SHG. The Reserve Bank of India has issued instructions to all banks permitting them to open SB accounts in the name of registered or unregistered SHGs. 8. What are the advantages of internal lending of own savings in an SHG? By initially managing their own common fund for some time, SHG members not only take care of the financing needs of each other, but develop their skills of financial management and intermediation as well. Lending to members also enhances the knowledge of SHG members in setting the interest rate and periodic loan installments, recovering the loan, etc.